Fast food is rarely very healthy, good food usually takes time to prepare and is absolutely worth it. This is a guide about fast food versus good food. I realize that steak, aged Parmesan and fresh coconut are things many people would not consider within their weekly food budget. But bear with me here. 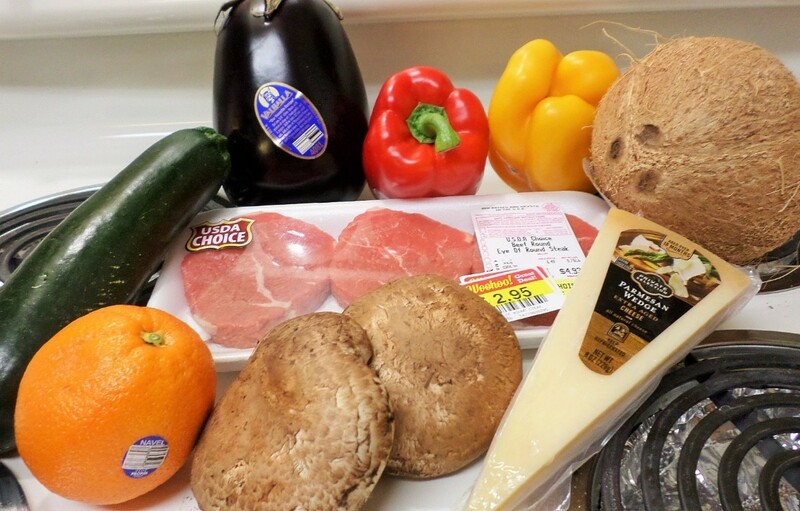 Altogether this would make spinach salad with shallots and shaved Parmesan, grilled steak with portobella mushrooms and bell peppers, and a fruit dish of oranges and coconut for four people. The total is $18.45. As you can see, a family of two adults and two kids can easily spend this on one meal at McDonald's. If you're going to treat yourself, why not treat yourself to fresh, good quality food? I'd rather have a steak and Portobellas than a Big Mac and fries. Your audience is listening, but they have been owned by the corporate big boys. These biggies have brainwashed most people into believing fast food is the thing to do....And most people want to be part of the 'in crowd'. They will have to be gradually weaned off junk food. So, keep chipping away at them. For starters, they could acquaint themselves with certain lists on the Internet. These lists are for five, seven, or ten of the healthiest, most nutritious foods you can buy. Surprisingly, most of these foods are inexpensive, can be eaten raw, and are very low in the bad fats. It's a good idea that these food be kept in the home at all times. If one must resort to fast food, they can at least snack on healthy food before going out for junk food. That should reduce their intake of the bad stuff. Last fall my sister was diagnosed with cancer. My other 2 sisters each surcombed to that illness. So I started taming chemicals from my diet because I felt they can't be good for us. As I matured I got lazy and didn't want to cook. I was using a lot of mixes. I love those rice mixes and added meat and frozen veggies for a quick meal on the cheap. Please enter the contest because I think you deserve to win! I appreciate your altruism which is almost never found these days, but you have earned the money and you deserve it. Donate it to charity if that is what your instinct tells you to do! (smile) But I prefer if you use it to buy something nice for yourself or your family. You deserve it! I can't say that enough times. lol Please take time to post some recipes for us to try for main dishes. I know my crock pot is my friend, but I don't use it as much as I should. I love casseroles, too, but they use more energy and my oven isn't that good any more. I like easy recipes and plain food. Before I close I want to let you know how much we LOVE baked sweet potatoes. And my son now makes them sometimes in the microwave. He hates vegetables, but I can sneak this one in without any complaints. (wink) Be well and God Bless. Thanks. Again, I did choose not to post it as a contest entry. That option doesn't seem to work. Thanks kindly for providing clarity, Abigail. Committment to eating healthy foods is less expensive in the long run, too. Those who choose to eat fast food habitually can look forward to such delights as diabetes, heart disease and a host of other problems associated with carrying too much weight.